If you’re in the business of selling wine, consider yourself notified. So, just how are millennials different from previous generations of wine drinkers? More importantly, how do you get them to buy your wine? You got how many points from whom? Whatevs. Millennials couldn’t care less about wine scores because they don’t rely on traditional wine critics for their choices. They talk to their friends. They follow wine bloggers who tell stories. They choose producers who value the same things they do, and who are most certainly super social media and/or email marketing savvy. If you want to reach millennials you need to build a relationship with them, both in person and online. As lovely as flowery tasting notes are, millennials like a narrative. They want to understand the people and motivations behind the product, not just be told how it tastes or what vineyard block it comes from. They want to be moved, educated, inspired, and entertained. They want your wine to be a memorable experience, whether they’re at the tasting room or having dinner at home. Millennials are extremely skeptical. They’re not rebellious, per se. They just don’t buy into hype or superficial attempts at their affection. They also care about their health and their finances. A lot. Be real with them about your processes, your hardships, your successes, your pricing, and your ability to satisfy their needs. Explain to them why you farm the way you do and why you add the things you add (or don’t) to your wines. Explain why your wines are priced as such and how they can get the most bang for their buck. According to Forbes, a majority of millennials say they follow brands on at least one social network. Even if you’re not doing paid ads, you should be posting regularly to social media. Facebook, Twitter, Instagram, YouTube, Yelp, Pinterest, Snapchat… they’re are all great mediums for reaching out to #winelovers. Millennials also want to share everything they do, so make sure you’ve got social share buttons swarming your website. Most importantly, don’t use social media simply to push products. Engage with your followers. Share your brand’s personality, ask questions, respond to inquiries / compliments / critcisms, and thank your followers with social-only discounts or tasting room incentives. Additionally, post about events, closings, new releases, harvest mayhem, and all the other great things going on at the winery or tasting room. Trust me, they’ll you for it! Millennials do not like being locked into things, including relationships (ironic, I know). They like the freedom of choice and personalization. To the extent that you can, be willing to vary your club and tasting room options to fit individual buying preferences. Additionally, use tools like list builder and ask preference-based marketing questions when gathering contact info in order to better segment your email recipients. This ensures that you'll send the right offers to the right people at the right time. 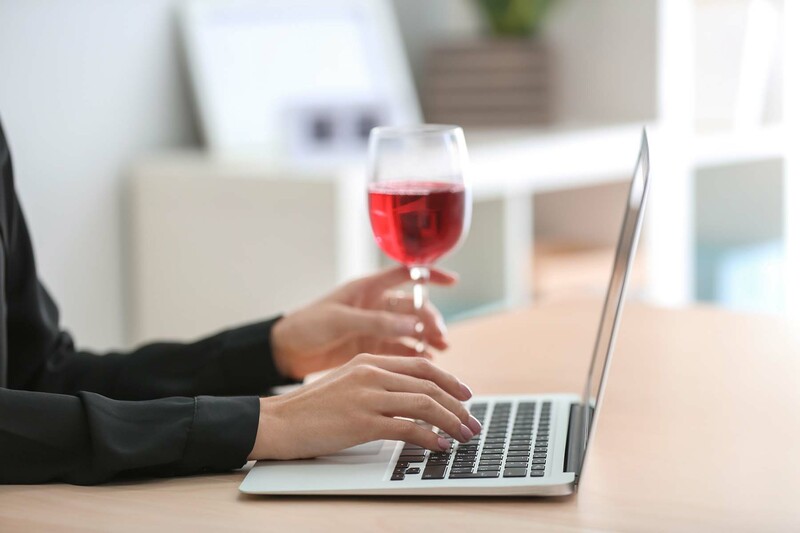 There’s no doubt that the millennial wine drinker has forced wineries into the digital age. Research shows that 25% of millennials spend more than 5 hours each day on their smartphone... and about 2/3 of millennials prefer digital shopping over traditional stores. If your website and e-commerce aren't responsive (aka, mobile-friendly), good luck out there. And if you make your millennial customers wait in line to buy wine, fahgettaboudit. Millennials purchase products that are easily accessible and require minimal hassle or time constraints. Make sure that your tasting room is equipped with Tablet POS to capture millennial wine purchases on the spot. Above all, remember that you’re offering them wine… glorious, delicious, life-enhancing wine. Share your passion with them and they’ll share their dollars with you!